The publishing of Lyrical Ballads, with a Few Other Poems in 1798 is usually regarded as the birth certificate of the Romantic movement in English litterae. 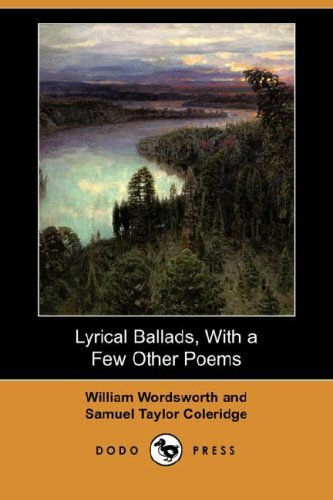 William Wordsworth and Samuel Taylor Coleridge, deliberately breaking away from the common taste of the age, had underlined in the opening Advertisement the “experimental” and innovative character of their compositions. It had been their program to write poetry in the lower and middle registers, with a particular focus on “painting manners and passions” and an explicit link “with our elder writers”. All of which applies to the poem in question. The Rime takes place of honour as the opening poem of the collection, and by far also the longest. Note in passing the stress on feeling and imagery over reason and equilibrium. How Romantic. The Rime of the Ancyent Marinere was professedly written in imitation of the style, as well as of the spirit of the elder poets; but with a few exceptions, the Author believes that the language adopted in it has been equally intelligible for these three last centuries. In point of fact Coleridge revised the poem in 1817, modernising some forms (title included), adding a few stanzas, and including an explanatory gloss that is now justly famous in its own right. This edition follows the later version—but sadly omitting the gloss. This is my third or more probably fourth reading of The Rime. And for all its shortcomings, it is always a pleasure. However unnatural and contrived, both the language and the imagery are extremely powerful. And it’s funny how the most artificial passages are often the most effective: the description of Cape Horn frosted with ice is just one among my personal favourites. Otherwise there’s no shortage of sea birds, sea monsters, sea gods, ghost ships, oceanic scenery and a whole boatload of mariners’ talk: a must for all lovers of sea narratives! Pointedly, the poem has been interpreted as symbolizing a great many things. Christianity, paganism, the Wandering Jew… Personally I’m more interested in the sheer number of these readings than in each or any of them: such wealth of interpretations is perhaps the best testimony to its aesthetic value. Oh and obviously it has been in time quoted by Herman Melville, Bram Stoker, Mary Shelley, The Pogues… among countless others. The Ancient Mariner is still in perfect good health. This was written by alessandro montagner. Posted on Sunday, June 16, 2013, at 10:19. Filed under English, LETTERATURA, Poesia. Tagged Europa, fantasmi, gotico, Inghilterra, mare, morte, poesia, Romanticismo, Samuel Taylor Coleridge. Bookmark the permalink. Follow comments here with the RSS feed. Post a comment or leave a trackback.